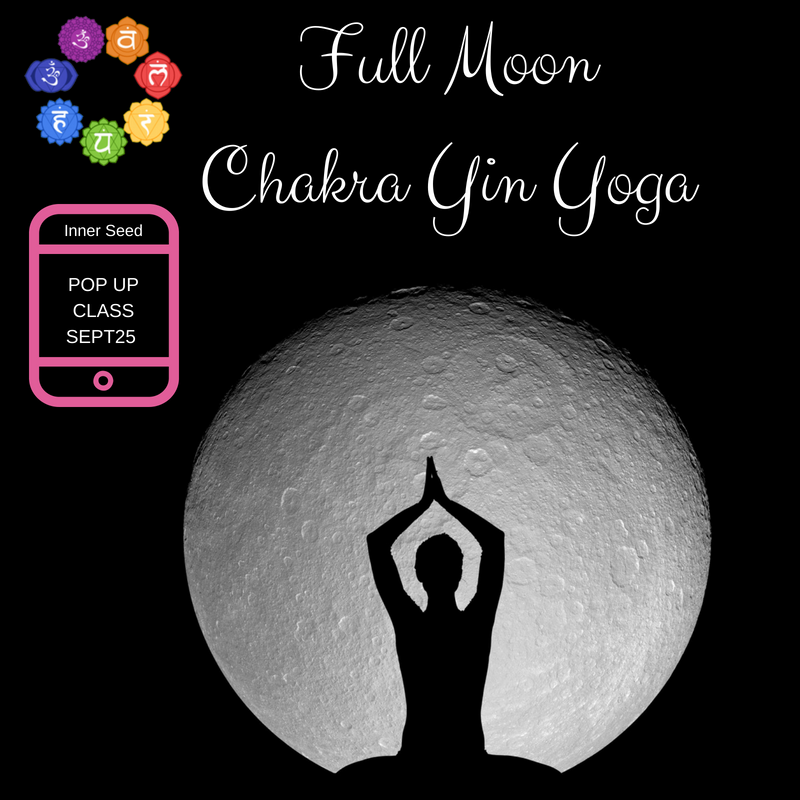 Chakra Yin Yoga under a FULL MOON this September! You know what this means? Time to cleanse and manifest! Full moons are energetically powerful, deeply creative, and intensely magical times that connect us to our emotions, intuition, deepest desires, and, ultimately, our soul’s inner dreams. Take a tour through your chakras with Laura’s Yin Yoga Chakra sequence as she guides you to practicing poses that correspond to each chakra to release these blocks and clear the path to higher consciousness. Whether you’re trying to heal a specific wound, looking to improve your manifestation work with the Law of Attraction, or just hoping to boost your overall well-being, it pays to know more about the 7 chakras. In this workshop we’ll explore each chakra’s meaning and learn how to balance your chakras most effectively. This workshop will take you on a journey to still your mind and reconnect with your inner guidance and intuition through different YIN yogic styles and meditation.